Many on-site features, including a community room and shared computers. 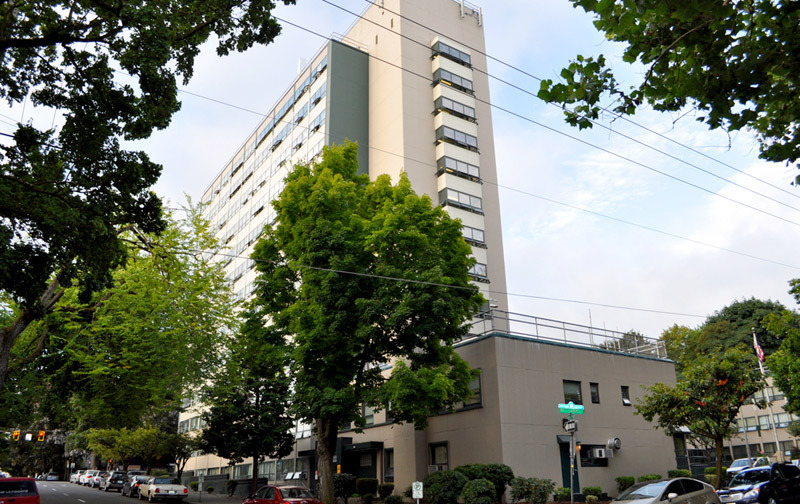 Northwest Tower is a 13-story project-based Section 8 apartment community with 150 studio and one-bedroom homes, including six that have physical accommodations for accessibility. The community has a waiting list preference for seniors and persons with disabilities. It is located near the many shops and services of Northwest Portland. Northwest Tower features a community room with a kitchen, a laundry room, computers and internet access for shared use by residents, a beauty shop, and some parking. This community is located near many shops and services on NW 21st and 23rd Avenues and the Jeld-Wen soccer stadium. The community has a waiting list preference for applicants who are 55 or older or have a disability. Applicants must have annual income that does not exceed 50 percent of the area median income for their family size. There must be at least one household member who is not a full-time student. The waiting lists at Northwest Tower are closed. Learn more  about how to apply.